The issue of climate change has a low presence in the media agenda. The communication aspect of climate change has been less considered by the global media. The human side of the story is an important factor since it can be common to anyone. However, it is not enough to tell the story. It is necessary and important to promoting understanding of the facts of change climate and motivational attitudes conducive to adaptation. 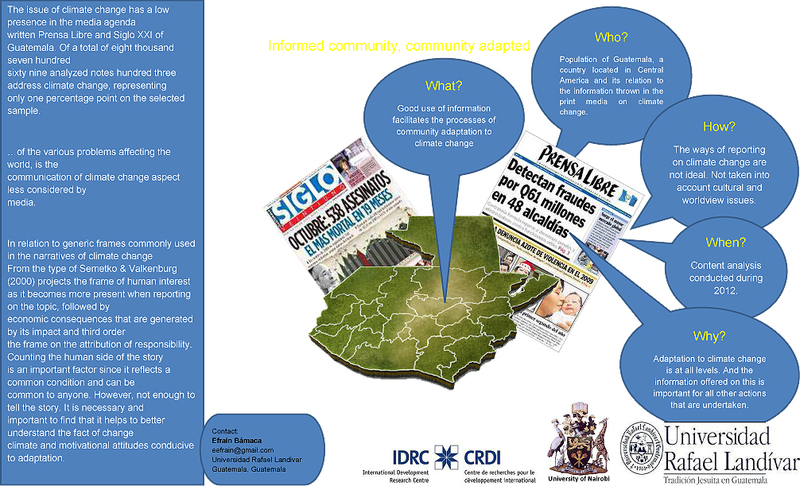 This poster was produced by Efrain Bamaca, IRDC.